- 65km drive from our B&B, out of Plettenberg Bay. - 45 minutes by car. 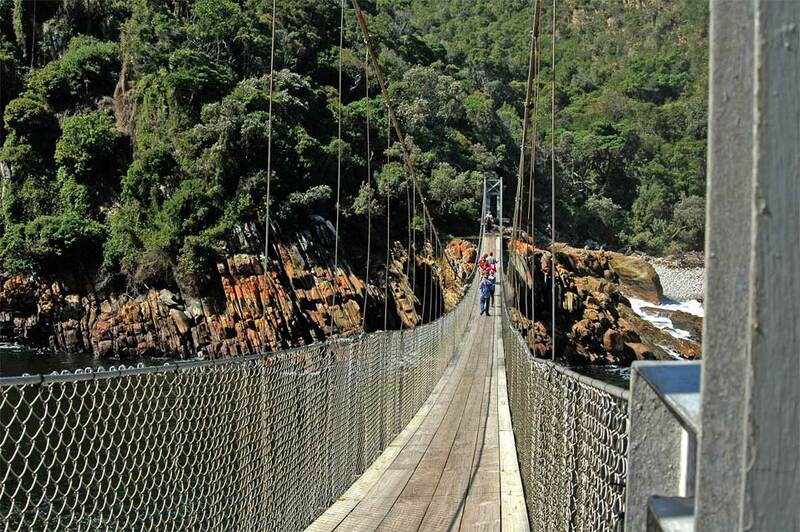 - The Tsitsikamma National Park is a big tourist attraction and can be very over crowded at specific times in the year. 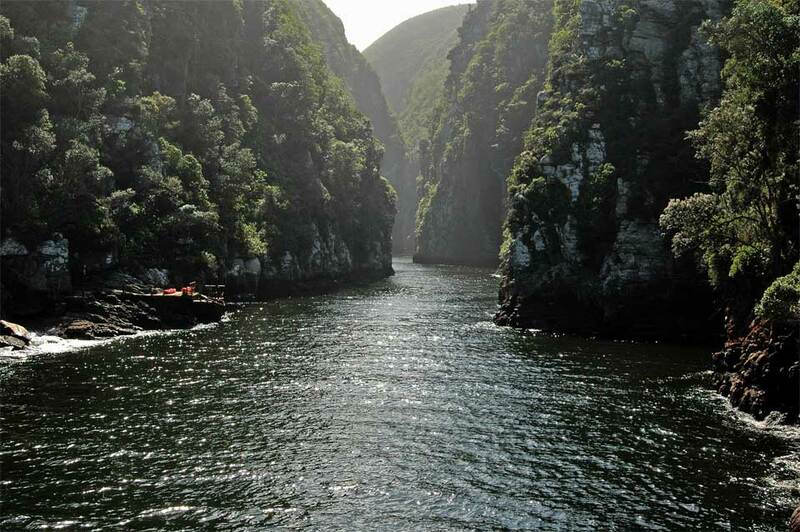 Likewise is the Tsitsikamma Park a bit overrated what it offers from my point of view and you do find more spectacular hikes in pure nature for example at Robberg Nature Reserve in Plettenberg Bay. Where do you find a similar coast line, not over crowded and you see a seal colony on top. 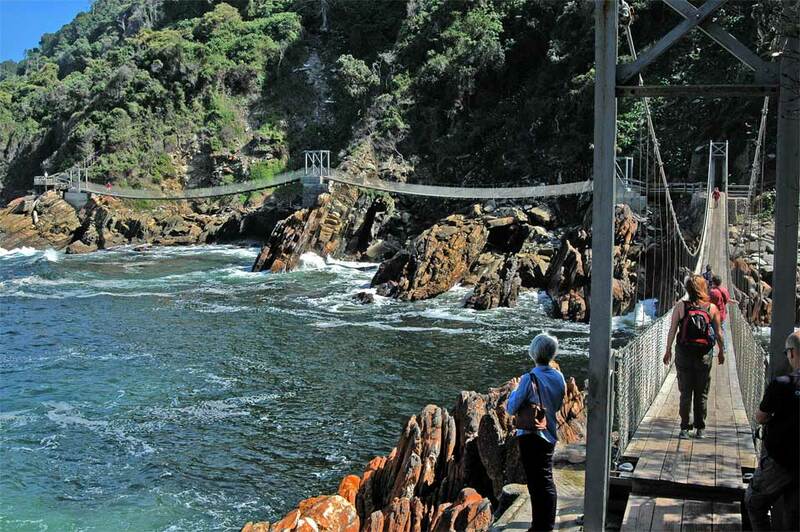 You reach the Tsitsikamma National Park at the Storms River Mouth along the N2 from Plettenberg in direction to Port Elizabeth. 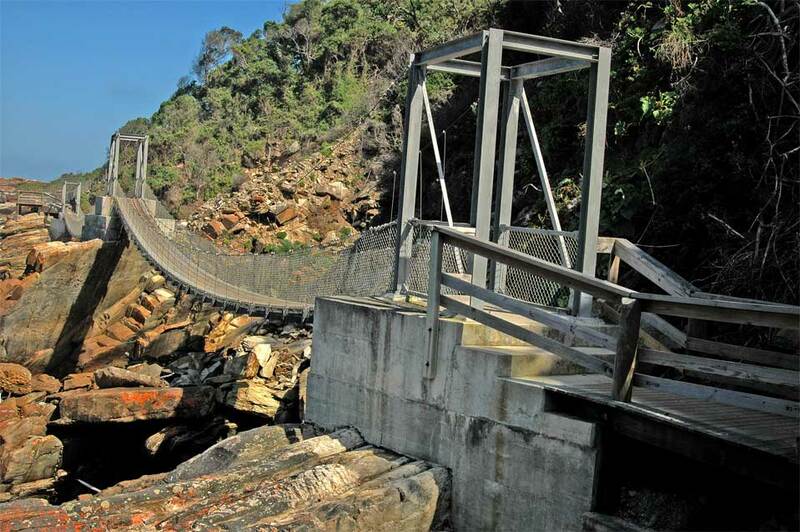 At the Storms River Mouth you reach the main camp of the national park. 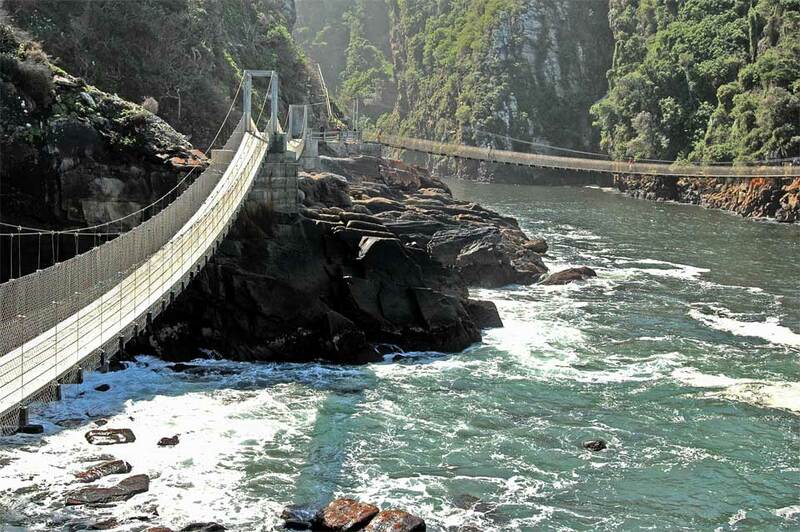 But the Tsitsikamma National Park it self is much bigger as the main camp and the area around the Storms River Mouth. 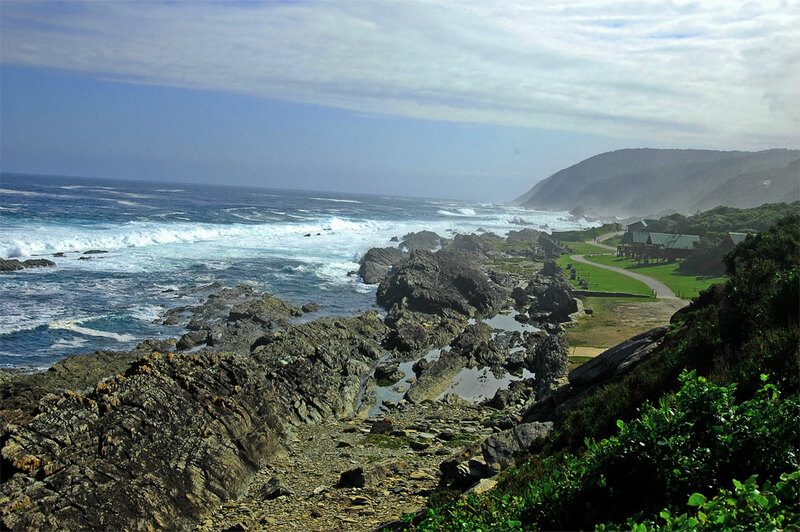 The national park starts very close behind Plettenberg Bay and stretches along the coast line 40km down to the Storms River Mouth. 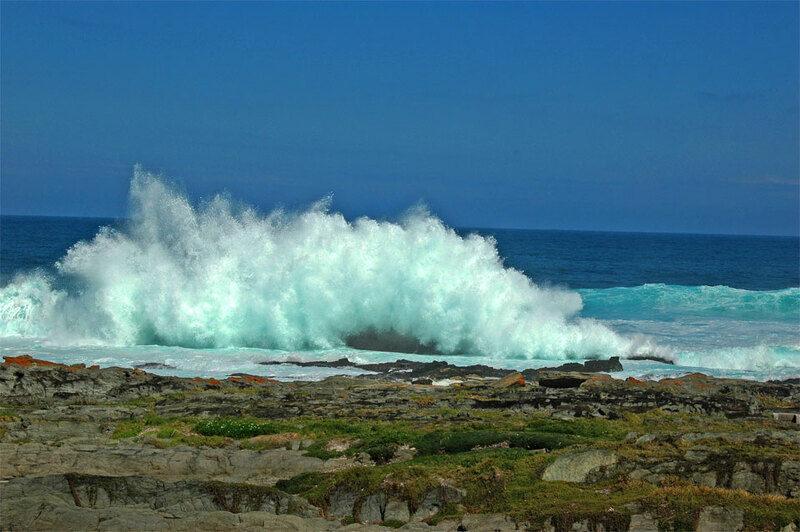 The main camp is situated at a very rough, rocky coast line, where huge waves hit the rocks and enormous spray can be seen. At the main camp you start your hike to the suspension bridges. 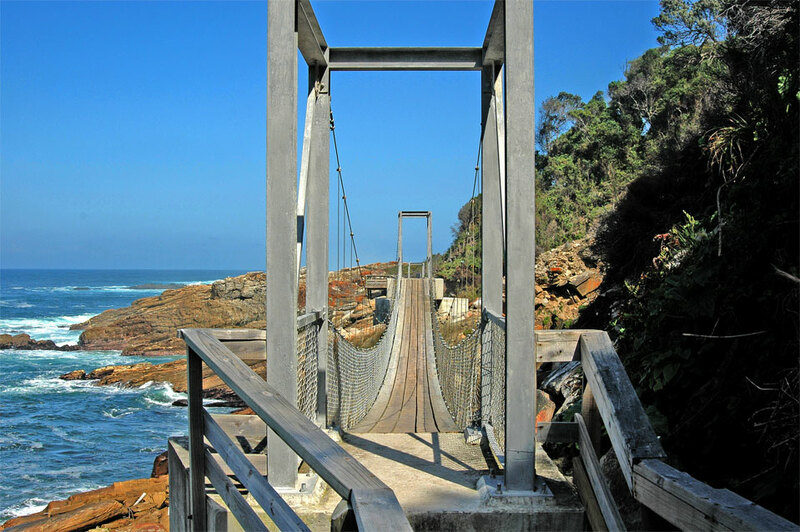 The hike leads you over a board walk with lots of steps around 1.5km to the Storms River Mouth with its 3 suspension bridges. 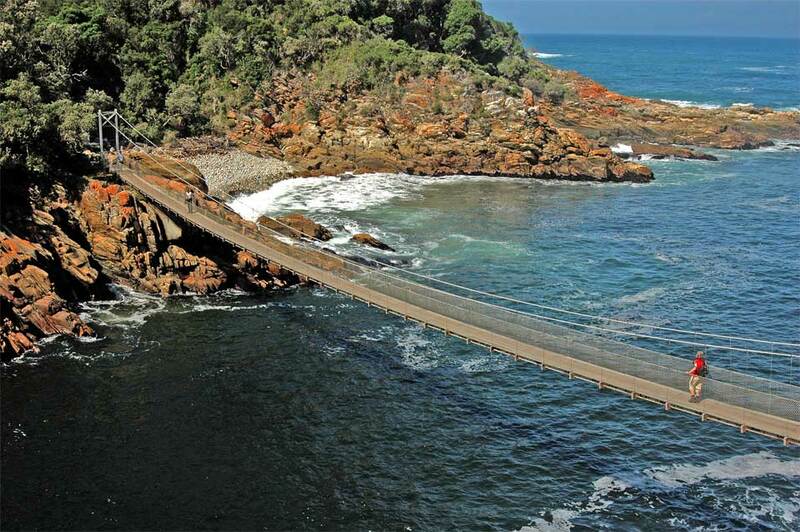 Two suspension bridges are built on the side of the river mouth, following the water line and the biggest bridge crosses the Storms River Mouth itself. In total it is a very nice scenery and also a nice experience to walk on that suspension bridge having a view into the gorge of the Storm River Mouth and the feeling of this swaying construction of the bridge. 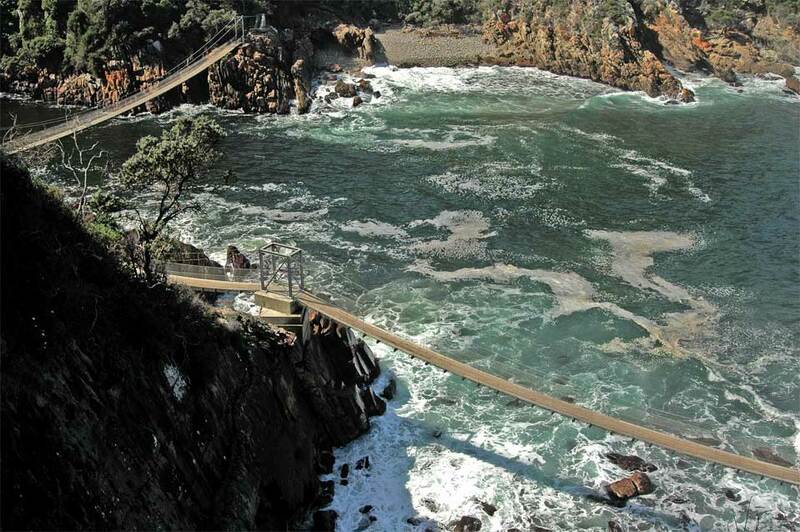 The other interesting part would be to do a costal hike to the waterfall from the main camp in westerly direction. It is a one way hike and the first day of the famous Otter Trail. At the waterfall you have to go back as the Otter Trail hikers would carry on. In the area of the main camp you do find also other hikes which leads you through the rain forest, but I personally enjoy to hike at the coastline which offers magnificent views on the Indian Ocean and the environment. Top view of all three suspension bridges. The big suspension bride was built in 1969 by Jacky De Vos. The bridge length is 77m and 7m height over water level. This is the biggest suspension bride built of its kind. You walk steep down at the beginning and on the other side it goes steep up again. The style of architecture of the other two smaller bridges is also spectacular. 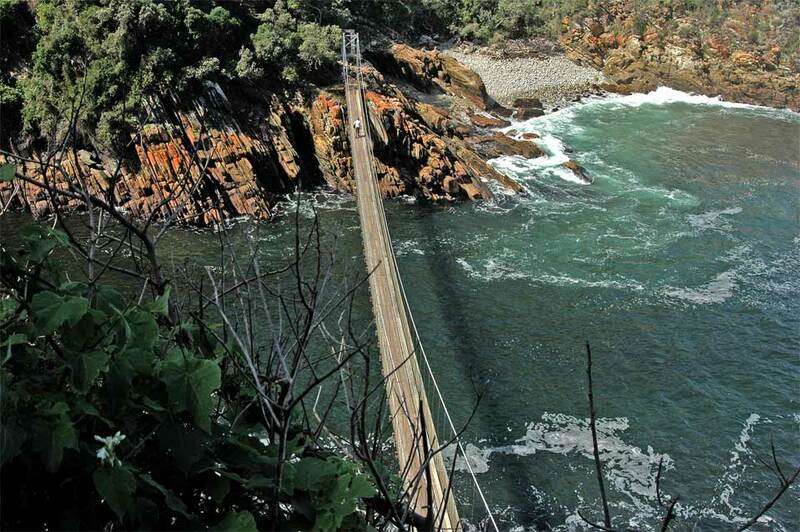 From the other side of the Storms River mouth you have a good view of the other two suspension bridges. Point of view is the direction towards the gorge of the Storms River. 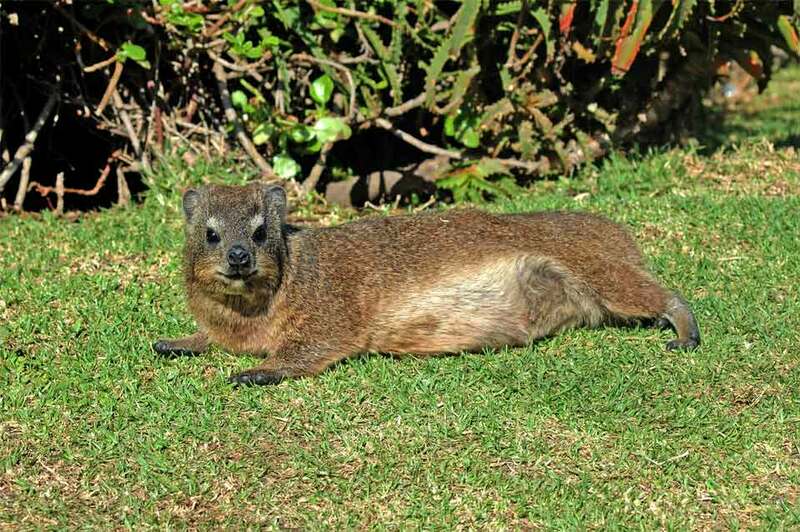 On the way is a Dassie enjoying a sun bath. From the big suspension bridge you have a view into the gorge of the Storm River Mouth and the feeling of this swaying construction of the bridge. 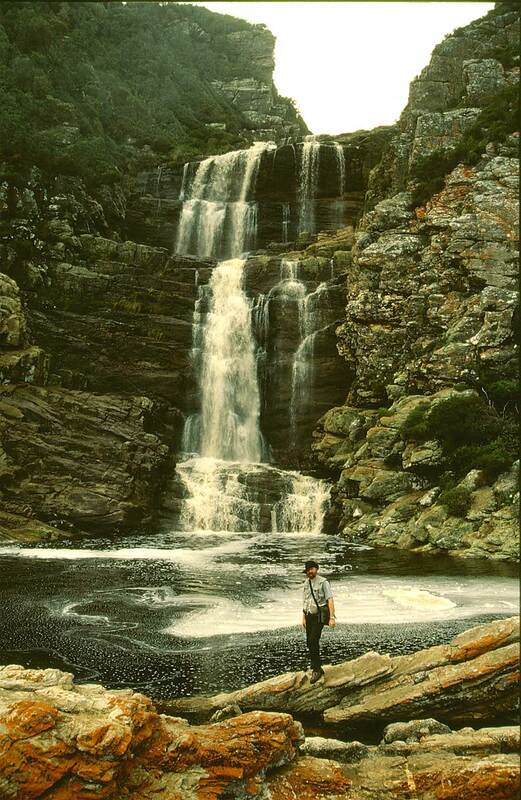 You reach the majestic water fall and this is the point of turn of your day hike and you have to go back! This is the beginning of the hike to the water fall along the coast line.